Buy Creative Field Recording a Coffee. ko-fi.com/creativefieldrecording - Ko-fi ❤️ Where creators get paid by fans, with a 'Buy Me a Coffee' button. I travel the planet field recording evocative, meaningful sound effects, and help others do the same.br/br/I write about all aspects of field recording, sound effects, and sharing sound with others. Hi! I'm Paul Virostek. I travel the planet field recording evocative, meaningful sound effects, and help others do the same. Donations to the digital tip jar are appreciated but never expected. Only donate if have found something of value at www.creativefieldrecording.com and would like to support me. All donations will directly support the website, and pay for yearly hosting fees. Secured Payments. Support goes to Creative Field Recording's account. 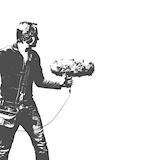 Upgrade Creative Field Recording to a yearly Gold Membership with a one-time payment.